This genetic evidence is just a cherry on top of the rest but will help get the paper the media attention the authors crave. 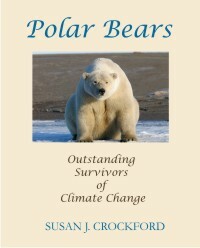 Polar bear X grizzly hybrids were known long before climate change and sea ice decline became an issue. See also previous posts here, here, and here. 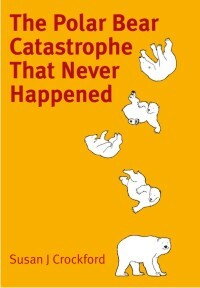 In fact, as I’ve pointed out, “most polar bear hybrids said to exist have not been confirmed by DNA testing” (including virtually all of the bears specialist Andrew Derocher claimed were hybrids, including the latest one from 2016 that prompted such gems as “Love in the time of climate change”). A polar bear X grizzly hybrid, see Kumar et al. 2017. Photo by A. Derocher. 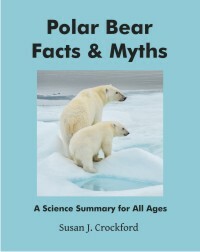 In my opinion, the most important conclusion of this paper is that occasional but widespread hybridization among bears is why it has been so hard to say with confidence when polar bears arose (which I addressed years ago, in my Polar bear evolution series: Part 1, Part 2, and Part 3). You cannot use traditional methods of pinpointing the timing of speciation events from genetic data if one or more of the species have hybridized (traded genes). See the long, fuzzy “divergence times” for bears in the image below from the Kumar paper.